We can now add “Satan, Prince Of Damnation, Lord Of Lies” to the list of characters that Benedict Cumberbatch has spent his career endeavoring to make us all swoon over, with Deadline noting that the retired dragon has signed on to play Lucifer himself in Good Omens. 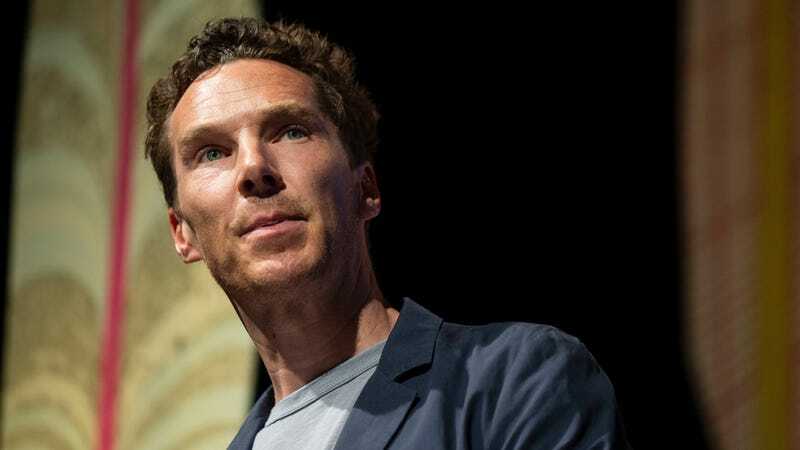 Cumberbatch is one of the last people to be added to the undeniably stellar cast of Amazon’s adaptation of Terry Pratchett and Neil Gaiman’s apocalypse comedy, joining folks like Michael Sheen, David Tenant, Nick Offerman, Jon Hamm, Miranda Richardson, and more. We’re honestly kind of amazed, given his penchant for deep-voiced CGI constructs, that Cumberbatch has never stepped into Ol’ Scratch’s cloven hooves before. The closest he’s gotten, though, is Doctor Strange, where he ended up playing the demonic Dormammu—who actually out-powers the resident Satan analog in the Marvel comics universe. Not so in Pratchett and Gaiman’s book, where he’s presented not just as the Big Bad boss of demons like Tenant’s immortal slacker Crowley, but as a full-blown apocalyptic threat whose voice nevertheless sounds smooth as sarcastic, Hobbit-hunting butter. Good Omens premieres on May 31 on Amazon Prime.